3. URL of spoof website disguised as http://secure.mvnt4.com/tcf/OnlineBanking/index.jsp . This looks secure but is NOT!
" 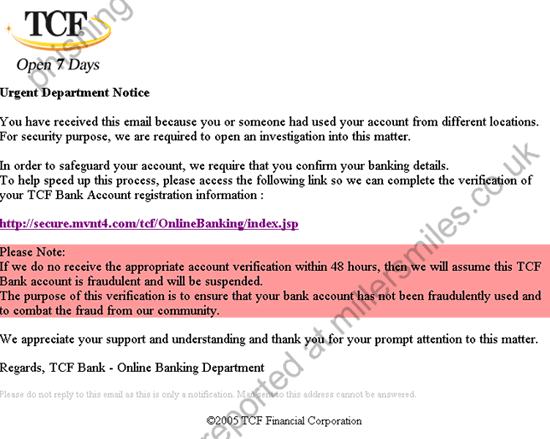 You have received this email because you or someone had used your account from different locations. "